Market your brand with a rich and interactive experience. Show prospective buyers that you mean business. Brochures and collateral introduce your products and/or services in a physical and tactile realm. Digital versions offer the same presentation and layout of a print edition with the added benefits of unlimited reach, multi-media enhancement and interaction tracking via analytics. Some sales funnels close quickly. Reach a prospective buyer anywhere, on any device, with immediacy. Contact Us to receive a commitment free quote on your next project! Text and images on a page provide vital information related to a product. So does the roar of a V8 engine, a bird's eye image above the Grand Canyon, and a slow-motion replay of that cab 1080 double cork. Complement words and images with audio, video and animations in HTML5. Contact Us to find out more about the interactive features available! Allow prospective clients to explore your brand and gather more information with an optional registration that collects demographic and contact information. A digital brochure that delivers leads! Contact Us to learn more about lead acquisition! Expand beyond your own borders. Reaching an audience organically is paramount. Reaching an entirely new audience based on a recommendation or share from a current brand follower is the pinnacle. Contact Us to learn more about our sharing options! One of the limitations of print media is the inability to revise on-the-fly. A digital brochure or collateral piece can be updated as required without incurring major expense. Contact Us to learn more about this capability! Integrate YouTube or Vimeo feeds into the digital collateral interface. Connect readers to social media channels. Have more content? Make it all available in the digital interface of your brochure or collateral. Contact Us to learn about our content hub! What pages receive the most views? What cities are being reached? How much time are readers spending on our collateral? How many visitors are returnees? What items were searched? Analytical data pulled from the digital product allows marketers to make informed decisions about the paper product. Contact Us to discover all of the data we capture! Apps are an easy, brandable location for delivering digital content straight to your readers - free of clutter and distractions. Our turn-key Apps are available to any Apple, Android or Kindle device. Push notifications can be sent to readers the moment new content is available. Contact Us to deliver content directly to readers via an App. 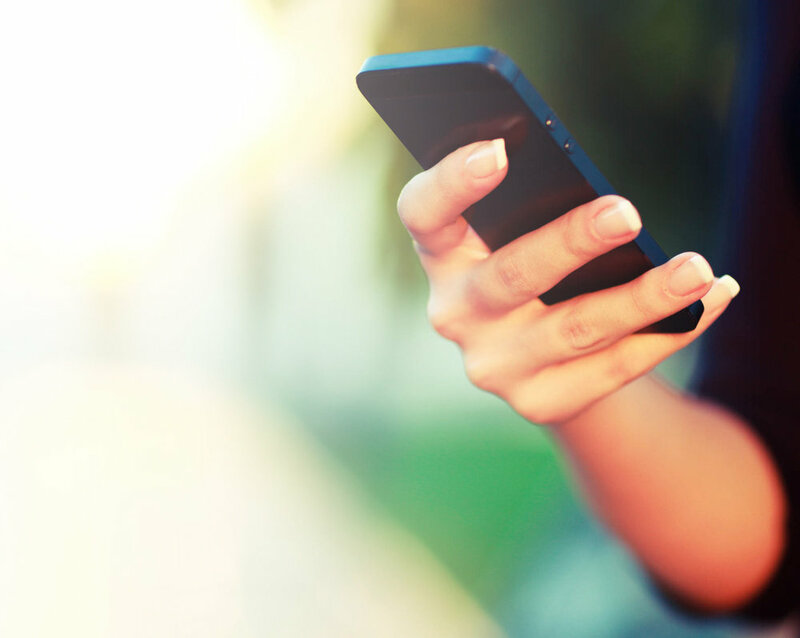 Mobile growth is staggering but can we assume that we reach our entire audience via mobile? An outgoing email to an audited list ensures that mobile and non-mobile readers are receiving the message. Contact Us to learn about our Email Delivery services. We are inundated with marketing messages. An outbound text message offers the benefit of instant delivery with increased response. Text delivery offers the best open rates for digital communication. Contact Us to learn more about Outbound Text Messaging.